Dr. Glover and I visited Flat Rock Archives in Lithonia, Georgia, on October 18th. Johnny, the resident of the archives, was very kind and welcoming to us both. He gave me a brief history of the community and how this project contributes to their archives. The map is almost complete. It consists of tombstone icons that resemble each resident. Once you click on the tombstone a pop-up window appears, which contains biographical information as well as images associated with each resident. There is also a search bar that directs the user to a particular resident of Flat Rock Cemetery. 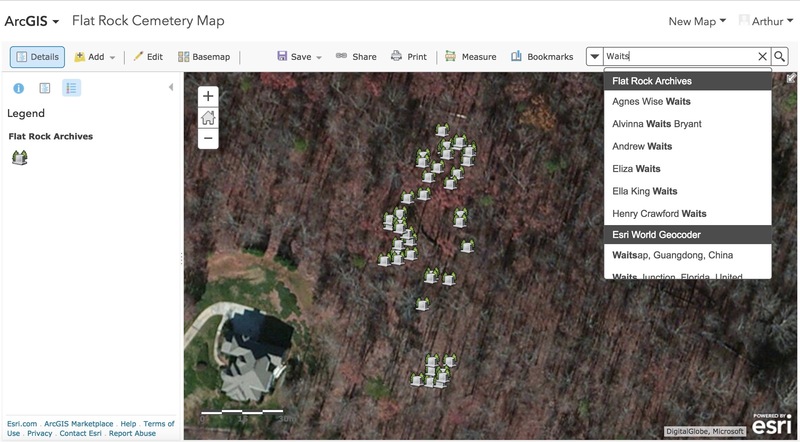 Johnny and I have set up a drive to where we can share cemetery data so that it is always up to date!